BNP Paribas and tennis have been a perfect match for over 40 years now. This impressive story began in 1973 with the sponsorship of the Roland Garros tournament. 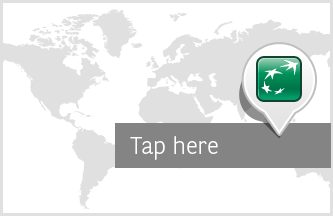 This was the forerunner for dozens of other local and international partnerships, which have made BNP Paribas the No. 1 tennis sponsor around the world today. As part of its ongoing commitment to tennis, BNP Paribas supports more than 20 national federations. In 2010 this tradition was extended to include Belgium. In 2014 our sponsor deals with Association Francophone de Tennis (AFT) and Tennis Vlaanderen, the two arms of the Royal Belgian Tennis Association, were extended for at least two more years. Under these partnerships, BNP Paribas Fortis acts as title sponsor to a large array of tennis events across Belgium. We also partner with over 500 tennis clubs in this country. Via our Club Affinity Program these clubs get brand new tennis equipments and professional attire from their clubs. As part of our hospitality programme we invite many customers and business relations to various tennis events. Every year we also welcome 600-plus Belgian-based clients to the Roland Garros stadium in Paris during the fortnight of the French Open Tournament. Our commitment to the game, unrivalled anywhere in the world of sport, is encapsulated in the strapline ‘We Are Tennis’. 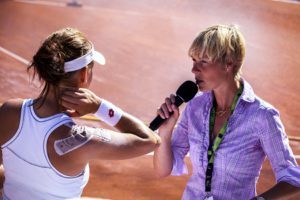 As a creative partner to tennis, we enable the many fans to get the inside track on what’s happening in the world of tennis via our Facebook and Twitter pages ‘We are tennis. The aficionados of the lob and the passing shot find a constant flow of information live from the courts, plus reports and exclusive interviews on a range of tennis tournaments and events in Belgium and abroad. The Facebook page also features regular contributions by former Belgian champion Els Callens (whose biggest achievement came in 2000 during the Summer Olympics in Sydney where she won the bronze medal in doubles, partnering Dominique Monami).